Are Oats Gluten Free? This is a subject with a lot of confusion here in Australia - so I thought I'd share some information with you to clear things up. 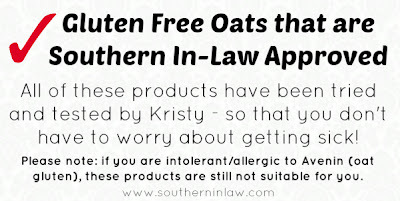 As you may have already seen, many of the recipes on Southern In-Law use Gluten Free Oatmeal - but I'm a coeliac - and a very sensitive one at that. For years the Coeliac Society have been telling us that Oatmeal is not gluten free - and whilst they're partially right, there's not complete truth behind that statement. If the question is, Do Oats Contain Gluten? The simple answer is yes - but oats contain a different type of gluten to other gluten grains such as wheat, barley, rye, triticale and spelt. One in Five Coeliacs (that's 1 in 10,000 Australians) cannot tolerate Oat Gluten - Avenin. This means that four out of five coeliacs can eat oats. This also means that someone who is not intolerant or allergic to gluten can be allergic or intolerant of oat gluten. But before you go running oat to by oatmeal, be careful.... because there's a catch. Contamination in the field Often times, farmers will rotate their oatmeal crops with barley or wheat from year to year to ensure the healthiest and most productive crop is grown. If the farmer harvests his oat crops with a harvester that also harvests other gluten grains - or stores it in a silo/area which other gluten grains have been stored in - the oatmeal will be contaminated (regardless of whether it has been grown in an oat-only crop). 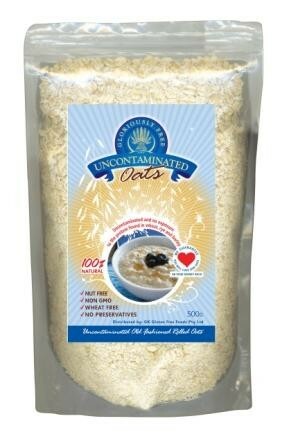 If the oats have made it from the farm without any contamination, they're not safe yet. Oats still undergo processing at the factory - and if the factory produces other gluten grains on the same line, these oats can become contaminated. 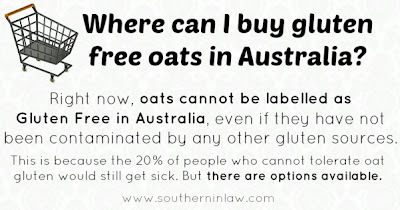 If you live in Australia, you would know that you can't find gluten free oats on the shelves of Coles or Woolworths - and that's because the Coeliac Society and FSANZ does not allow oats to be labelled as gluten free due to the small percentage of people that would still get sick. 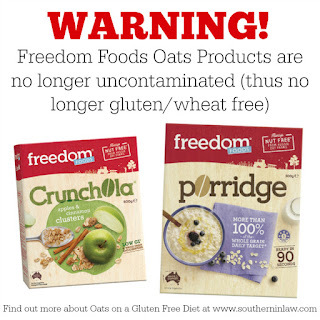 This means those people are safeguarded against potential contamination/reaction from these oats, however, in almost every other country in the world, uncontaminated oats are allowed to be labelled as gluten free. That said, there are options available in Australia. 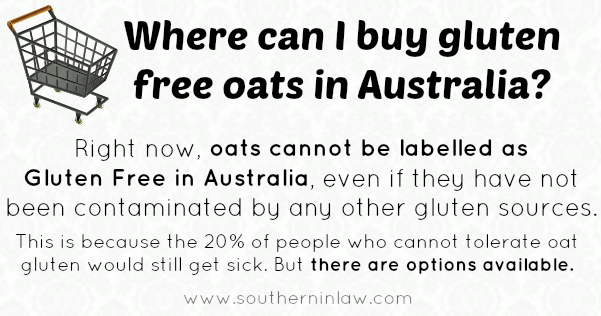 So where do you buy gluten free oats in Australia? Or anywhere else in the world? I'm an incredibly sensitive coeliac - I get very sick from traces of gluten - so I can assure you that if you can tolerate oats, these products will be fine for you. That said, not everyone can tolerate oats so please be wary when trying anything new. I can only recommend products that I have tried personally as an oat-tolerant coeliac, so whilst there may be other brands out there, I cannot recommend them to you until I have tried them myself. Over time, I will add to this list with different oat products that I have tried with success. 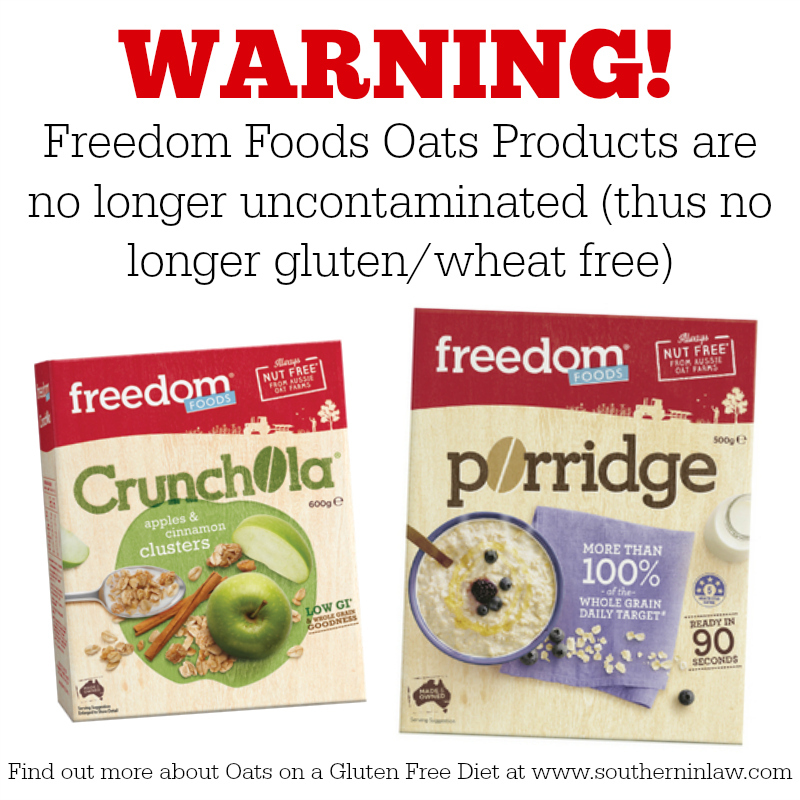 NOTE: In the past Freedom Foods Oat products were gluten free, however, this is no longer the case. I order Bob's Red Mill Gluten Free Oats from iHerb and they're actually not all that expensive to ship in thanks to iHerbs incredible prices and low shipping rates (plus if you use the coupon code OTO868 you get $10 off your first order). 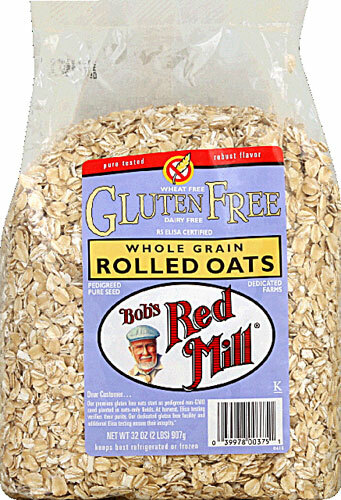 Currently the Bob's Red Mill Gluten Free Oat Range includes; Rolled Oats, Quick Cooking Oats, Oat Flour, Oat Bran and Steel Cut Oats and I have tried and regularly use all of these products. So there you go, hopefully now you understand a little bit more about oats and whether oats are gluten free or not. 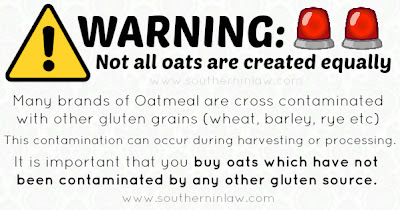 Please share this post with your friends and family members who are coeliacs or gluten intolerant so they too can learn the truth behind gluten free oats! 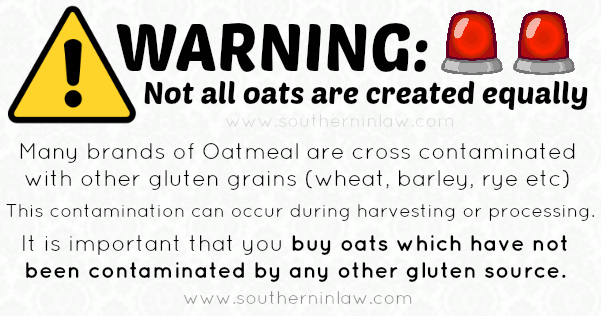 As with anything, if you're unsure about whether gluten free oats are safe for you - speak with your doctor! 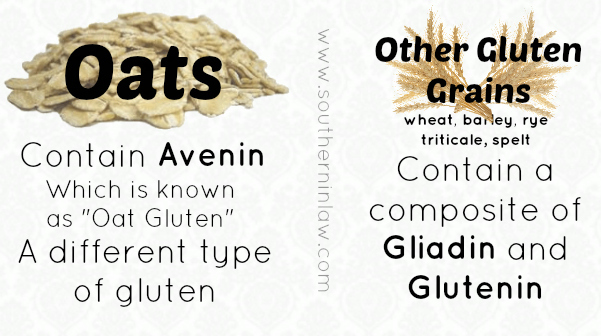 Many Southern In-Law readers have printed out this post and taken it to their doctor to talk about oats as an option in their diet as many doctors are unaware of avenin. The Coeliac Society has ruled that oats cannot be labelled as gluten free in Australia due to Avenin, however, that does not mean they are not suitable for oat-tolerant coeliacs - it's simply safeguarding those with an allergy to avenin against potential contamination. Hey Jo-Anne, when you tried oats, which brand/type did you buy? My question I posted yesterday went under anonymous..no idea why! If you are coeliac you should not consume any oats without having first done a supervised oat challenge under guidance of your Gastro specialist.